I’m late, I’m never late, I must be pregnant! He looked at me and said your crazy and we’re done having kids. To be fair, I have sent this man on more pregnancy test runs than coffee ones…so I know that word erks him. His advice – wait as week, it’ll come. So I waited impatiently. Ok fine I went out and bought one myself…It was negative. And 10 days after it came. It was the oddest period I had and I have never, ever been more than 2 days late in my life. What was going on? My sleep. I was working late nights and was completely off schedule. And it wasn’t until my period got impacted that I sat back and thought about it. Going to bed late, often snoozing in the morning and randomly waking up in the middle of the night was making me moody, tired, fat and most importantly messing up my hormones. This sign was enough and I spent the next month focusing on my sleep and sure enough it reset the next month. The snooze, the 2am wake ups, the belly fat and my cycle. It wasn’t until my body signaled loud and clear that something was off that I payed attention. I wonder if I just ignored it, how it would have continued to impact me almost unknowingly. You may not have this scare….you may just feel exhausted or “running on stress hormones” all day? Maybe your snoozing or having the 2am wake-ups. Do not fear, here’s the info so you can reset your sleep too (with an amazing recipe)! If you don’t sleep enough and try to work out, you may cancel out the benefits and still gain weight! Restore: Our bodies repair, grow and even “detoxify” our brains while we sleep. Brain Function: Improves our brain’s ability to learn and remember things, technically known as “synaptic plasticity”. Recharge: Conserves energy so we’re not just actively “out and about” 24-hours a day, every day. So how much do you need? It’s less than your growing kids need but you may be surprised that it’s recommended that all adults get 7 – 9 hours a night. For real! Schedule: The biggest tip is definitely to try to get yourself into a consistent sleep schedule. Make it a priority just like we do for babies. This means turning off your lights 8 hours before your alarm goes off. 7 Days. A. Week. Eating: Balance your blood sugar throughout the day. You know, eat less refined and processed foods and more whole foods (full of blood-sugar-balancing fiber). Get Sunshine & Exercise: During the day get some sunshine and exercise. These things tell your body it’s daytime; time for being productive, active and alert. 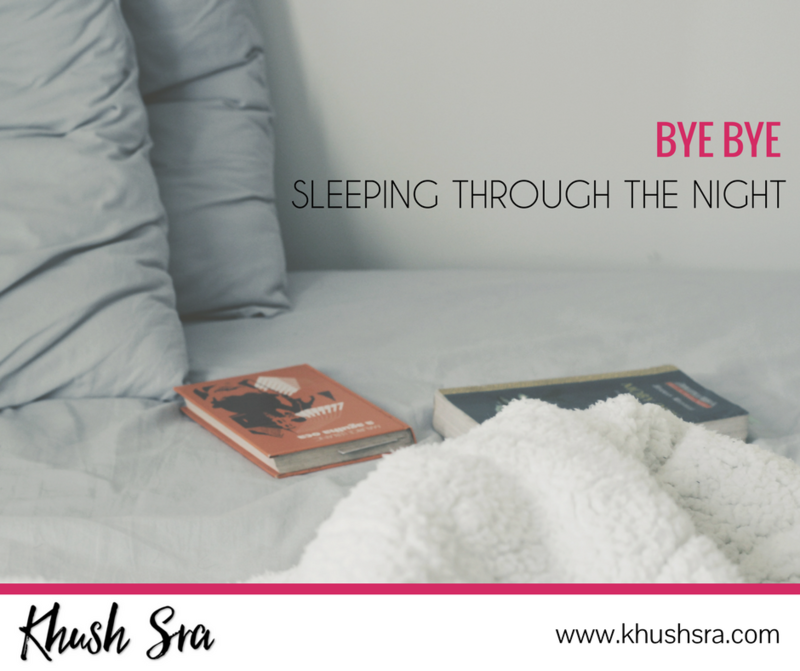 By doing this during the day it will help you wind down more easily in the evening. Reduce Stimulants: Cut off your caffeine and added sugar intake after 12pm. Whole foods like fruits and veggies are fine, it’s the “added” sugar we’re minimizing. Yes, this includes your beloved chai latte. Both caffeine and added sugar can keep your mind a bit more active than you want it to be come evening. (HINT: I have a great caffeine-free chai latte recipe for you below!). Wind Down: Have a relaxing bedtime routine that starts 1 hour before your “lights out” time (8 – 10 hours before your alarm goes off). Read an (actual, not “e”) book or have a bath.